Congratulations to Todd Rook and Brendan Miles (pictured) who passed their British Fencing Grade One Foil assessment this week. We’re already striding ahead with the Grade Two syllabus having covered some of the material on our way through free fencing in the last term and a half. 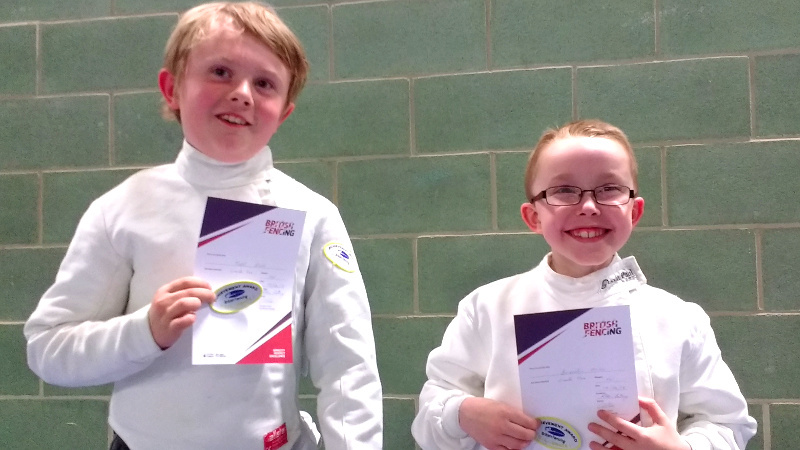 It’s always gratifying to see younger fencers progress through the grades, with the extra focus it brings to our short time together each week. The OCRA Juniors fencing session runs on Tuesdays, 5-6pm at Parklands sports hall. Contact westdevonswords@gmail.com or contact Robin on 07956 409818.